Earlier this year, I counted how many Scottish Islands I had visited since I moved here in 2013. I don’t usually count countries, but I thought – to heck with it – and did it anyway. With 790 islands, some inhabited, but many just pure wilderness – there is no way to ever “see them all”, and so the counting became about something different than just ticking off a list. It was about reflecting on all the beautiful places I had seen in Scotland so far. I came to 16. Not a huge number. Wanting to add more islands to my list, but in a reasonable and slow manner, I figured out a way to visit 12 Scottish islands in 2 weeks. 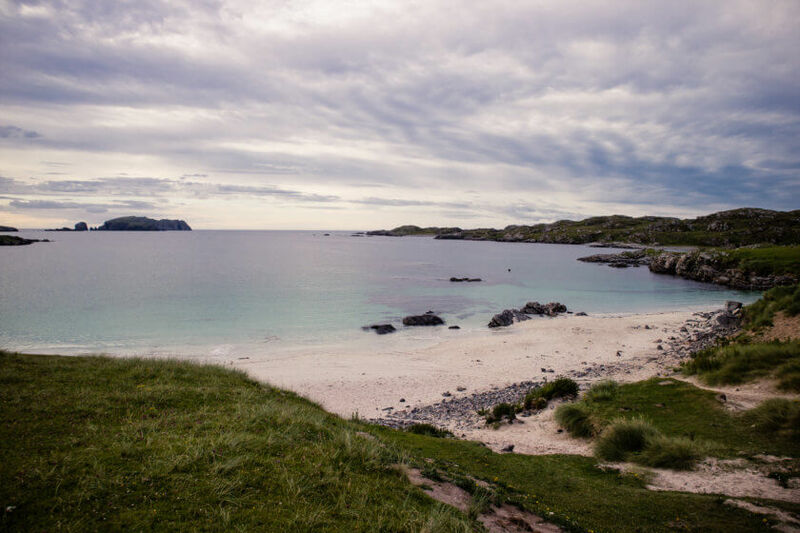 I walked the Hebridean Way! 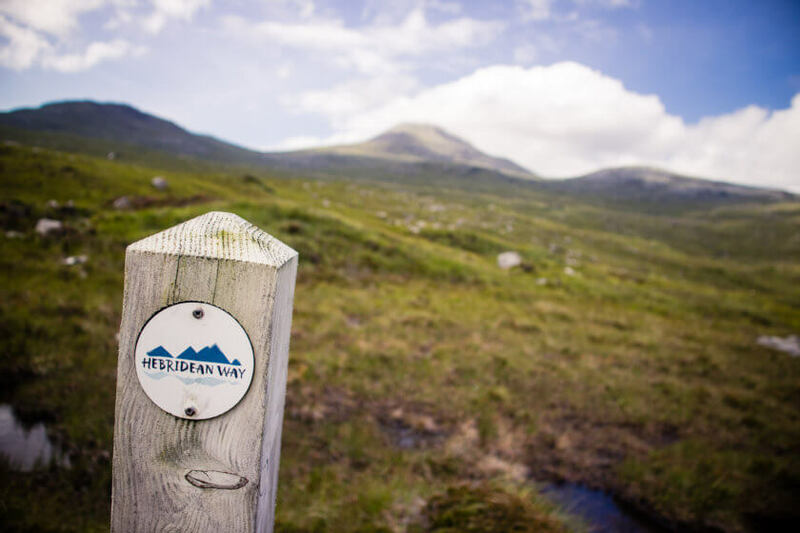 What is the Hebridean Way? The Hebridean Way is a long-distance hiking trail across the Outer Hebrides, also known as Western Isles, an archipelago off the north-west coast of Scotland. It covers 156 miles and spans 10 islands in total, but because there are many more islands in the archipelago, it is easy to visit even more during the hike. It takes anywhere between 8 and 14 days to hike the Hebridean Way. Personally, I used 12 walking and 2 rest days for my journey and to be honest, anything less than that would be extremely challenging for a trekking newbie. If you can, why not make it three weeks in total? 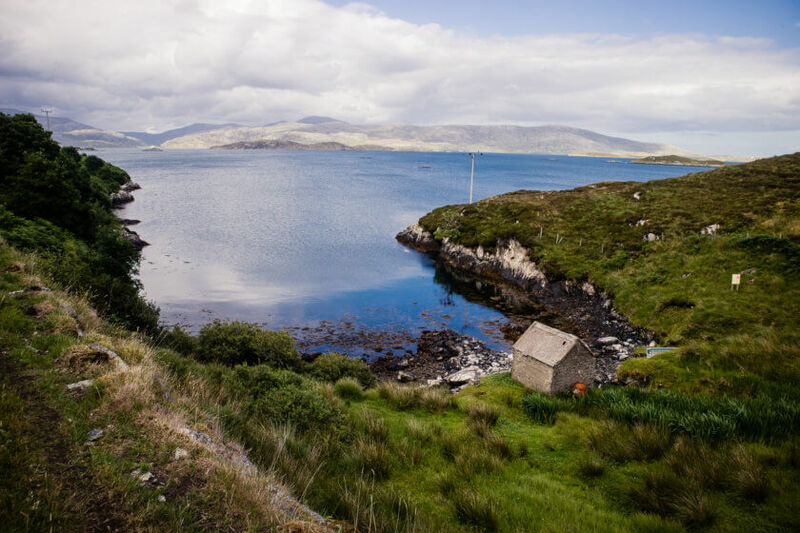 The Western Isles are incredibly diverse, and so the Hebridean Way crosses through a variety of different landscapes. 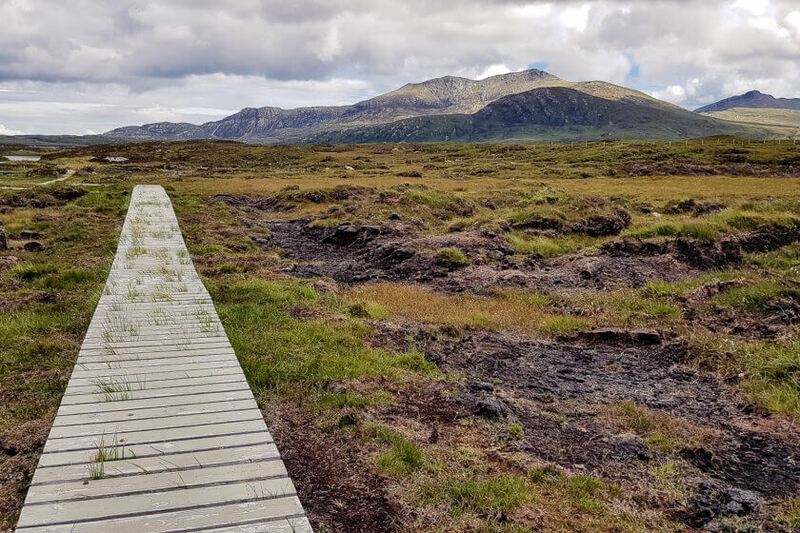 From the endless white sandy beaches with crystal clear turquoise water that the Isles are famous for to the barren moorlands and the rugged peaks of the hills on Harris and the Uists, the trail offers a different landscape every few hours. Which islands does it cover? 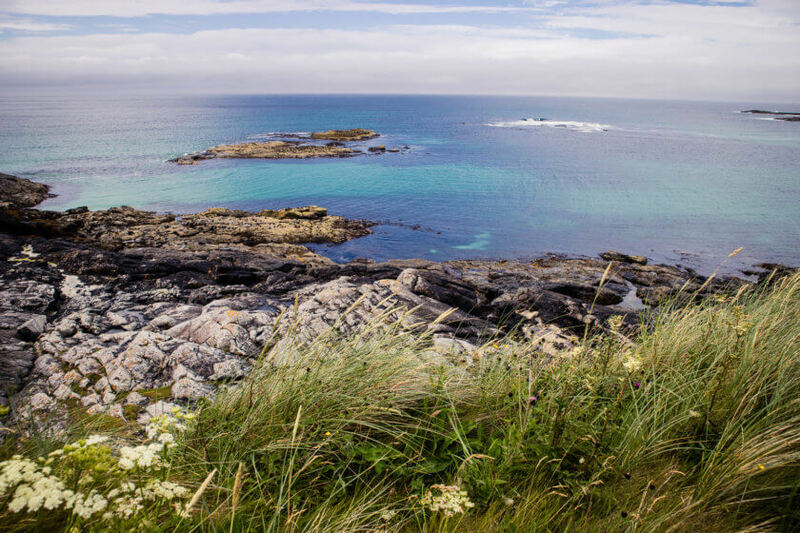 The Hebridean Way leads across 10 islands which are linked by 2 ferries and 6 causeways. Two of the isles actually share a landmass, which is why all you have to do is walk across a river to cross from one to the other. The islands on the Way are (from south to north) Vatersay, Barra, Eriskay, South Uist, Benbecula, Grimsay, North Uist, Berneray, Harris and Lewis. The two additional islands I visited were Hirta (St Kilda), 50 miles off the coast, and Great Bernera linked to Lewis by a bridge. You only spend about an hour on Vatersay on the first day of the trail, but I recommend spending the first night here, camping between the dunes of the beach. 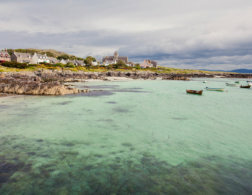 The Isle of Barra offers a little bit of everything you will come across in the Outer Hebrides. White sandy beaches, crystal clear waters, complex loch and fjord systems, high mountains and tranquil harbor towns. One day is not enough, but the route gives you a little taste of everything. The trail crosses Eriskay in less than an hour, but you could go for a little detour and find some of the famous white Eriskay ponies! I spent three days walking across South Uist, which is a long, but narrow island. The first one, I spent entirely walking along the coast, through the beautiful machair – low-lying grassy planes behind the dunes of the Scottish coastline. It’s an endangered landscape, but in July it is in full bloom! I spent the rest of my time on South Uist making my way across the moorland. 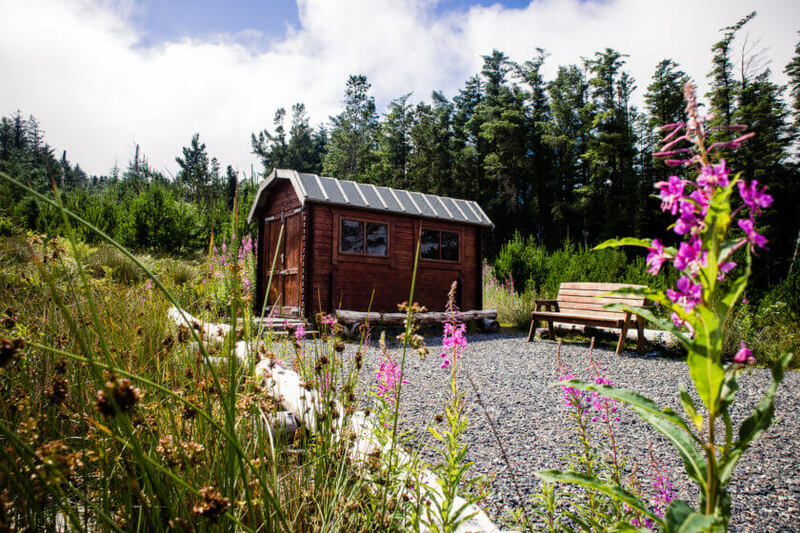 The mountain views were incredible and the heather was blooming purple – a surreal experience! After a quick stint back to the beach on Benbecula – so many seashells! 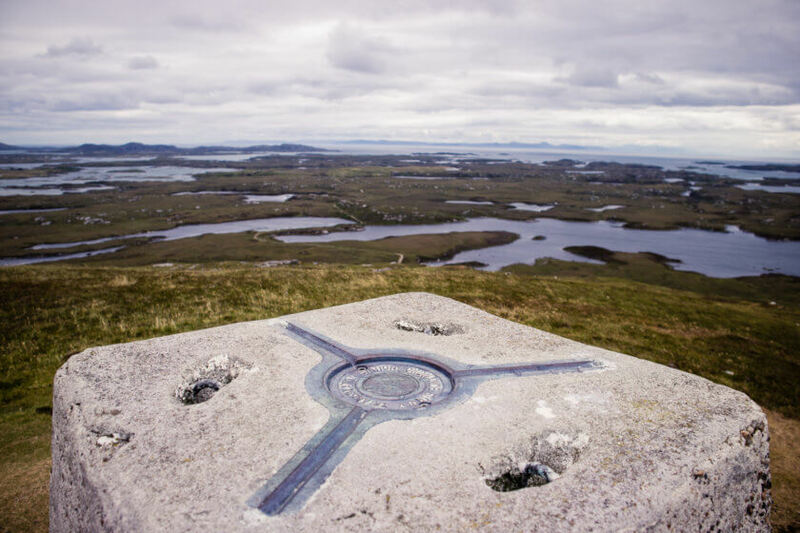 – I headed out into the moor again and climbed a low, but solitary hill in the east of the island – the views to North Uist and across to the mainland were amazing! Hillier than its southern neighbors, I spend much of my time on North Uist navigating the pathless moorland, wondering at the mountain views, and climbing up the shoulders of the hills along the north coast. Lochmaddy was a welcome blast of civilization and the harbor makes for a great sunset photo op. The Isle of Berneray is world-famous for its 5-mile long white sandy beach on its west boast. After all, a photo of this beach was used to promote a beach resort in Thailand a few years back! 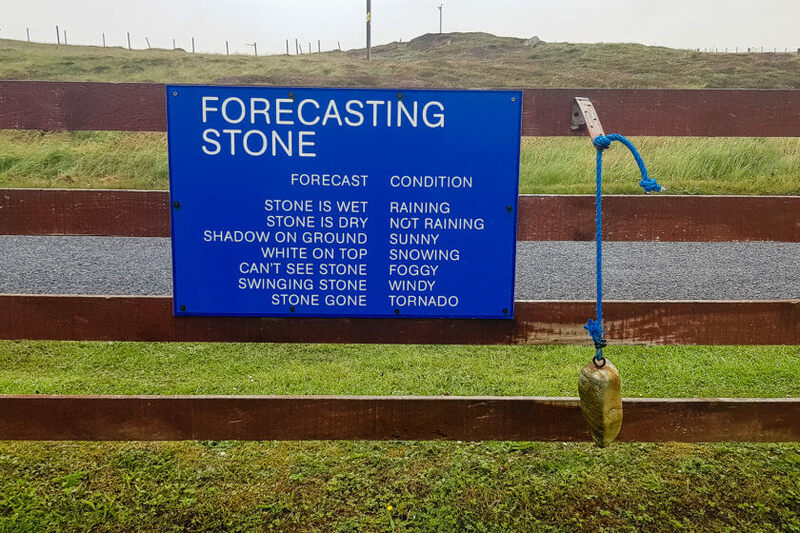 I wasn’t lucky with the weather, so I missed the beach, but I saw the postcard-famous weather forecasting stone instead! 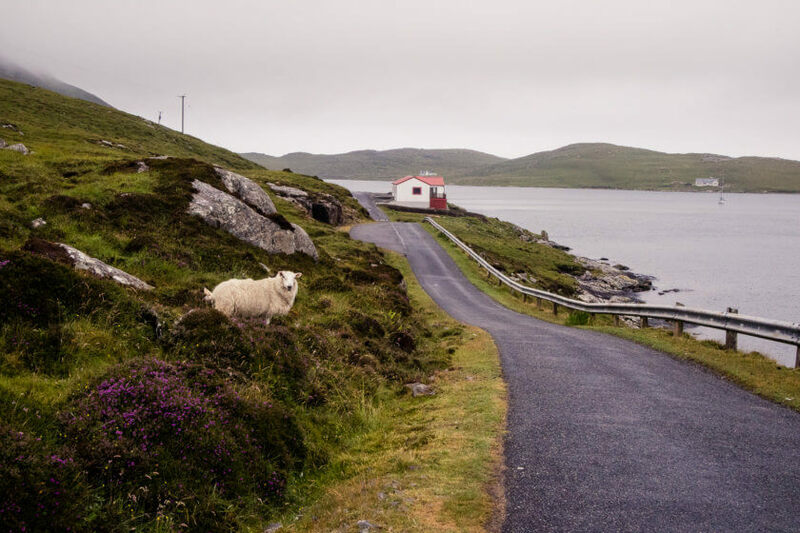 Famous for its widespread sandy beaches (Horgabost, Seilebost, Luskentyre), the Isle of Harris takes three days to cross on the Hebridean Way. On the first, I climbed the shoulders of hills towering over the aforementioned beaches – but the weather was so bad, I didn’t get to see the views my guidebook promised. On day two, the path crosses from the west to the east coast and the tranquil Bays communities. Rocky and with little soil the east coast of Harris is more sparsely populated and living is much harder than in the fertile West. As a hiker, this means lots of wilderness and solitude – perfect if you ask me! The third day returns to civilization, the bustling harbor town of Tarbert before crossing into northern Harris, where the trail climbs through some of the greenest valleys I have ever seen. The final two days on the trail are spent in the flat moorlands of Lewis. 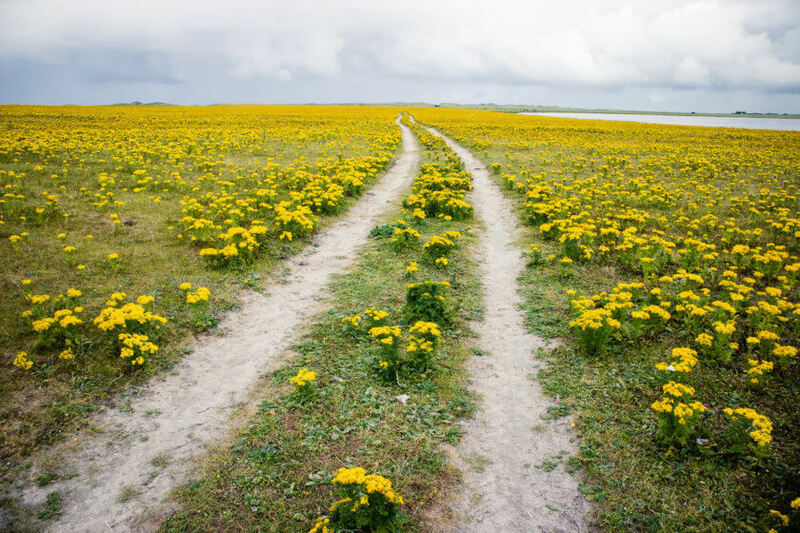 The trail mostly leads long roads or over raised turf paths – neither makes for the most relaxed walking experience, but the wide open panoramic landscape certainly makes up for that! 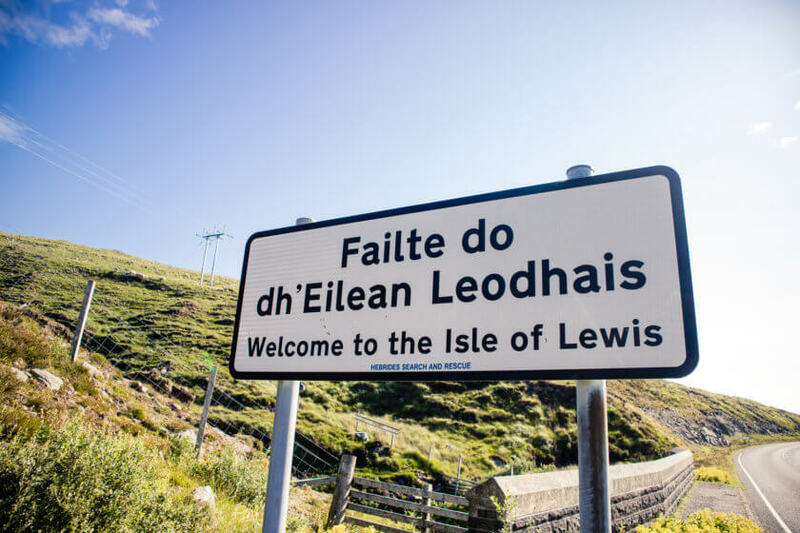 The trail ends in Stornoway, which is a great hub to explore more of the Isle of Lewis. I used an additional day at the end of my hike, to see what Lewis has to offer apart from moorland. I found beautiful sea cliffs, lonely beaches, a towering lighthouse, a restored blackhouse village and of course the Callanish standing stones. Bernera is a small island off the west coast of Lewis and can be reached via a bridge. 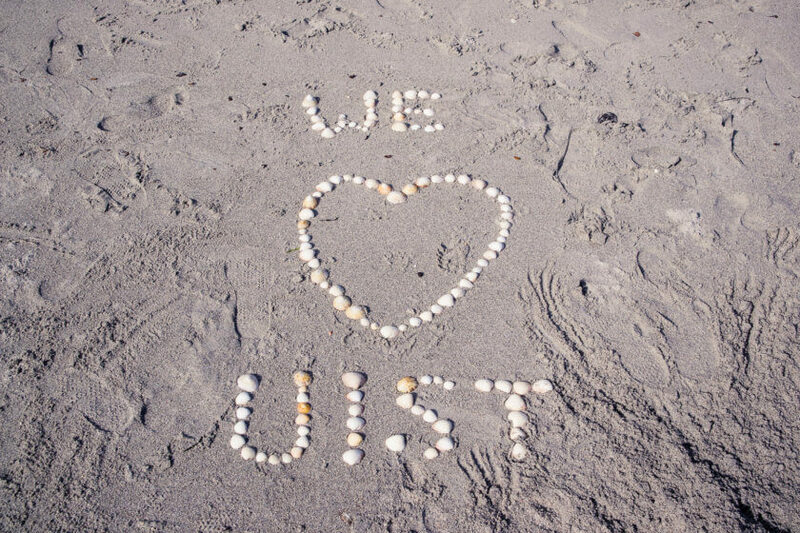 According to a local I met in Stornoway, its famed Bosta Beach was even more beautiful than Luskentyre, and I did not need to hear any more to convince me to make the trek out there. Needless to say, the beach was incredible! Finally, I managed to score a last-minute seat on a day cruise to St Kilda, a small archipelago 50 miles off the west coast of the Outer Hebrides. It took 3 hours in a speedboat to get there, but the cultural and natural World Heritage Site is well worth the effort. 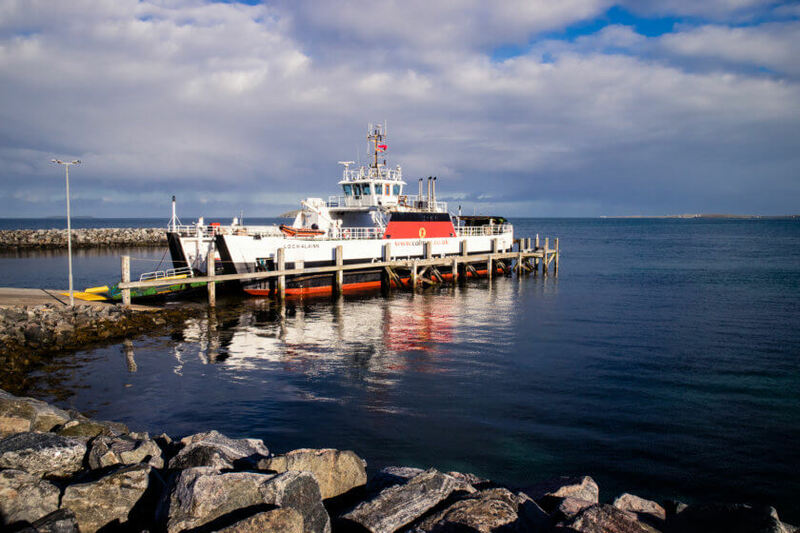 The cruise includes a landing on the main island, Hirta, where you have 4.5 hours to explore the remains of the village as well as the unique natural landscape of the hills behind it. The village had to be evacuated during the 1930s, when live in such isolation became too hard to upkeep any longer. The island is now shared by a base of the Ministry of Defense and the National Trust for Scotland, who send out researchers and scientists during the summer months. St Kilda offers the UK’s highest cliffs and the tallest sea stacs. The islands are home to the second-largest gannet colony in the world as well as the largest puffin colony in the UK. 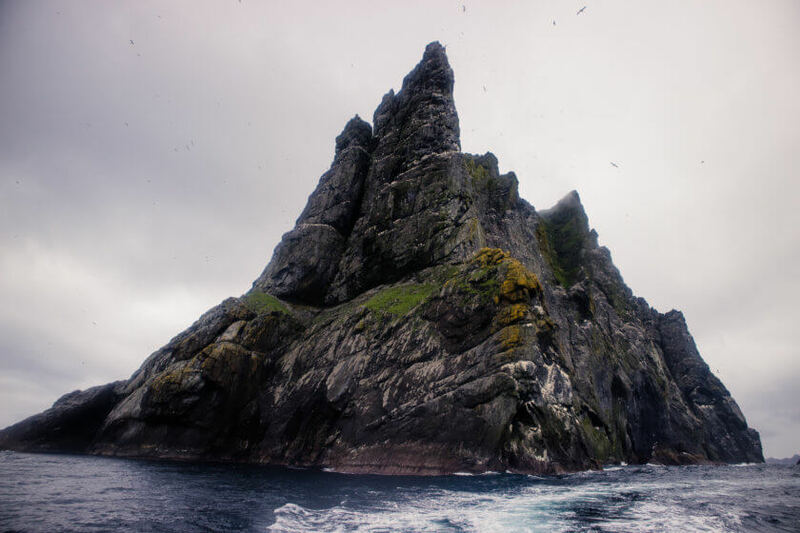 Millions of seabirds come here to nest and bird watchers will love the 1.5 hours cruise around the other inhabited islands of St Kilda after the main landing. It’s an expensive adventure, but a once in a lifetime experience! How to get to the Outer Hebrides? 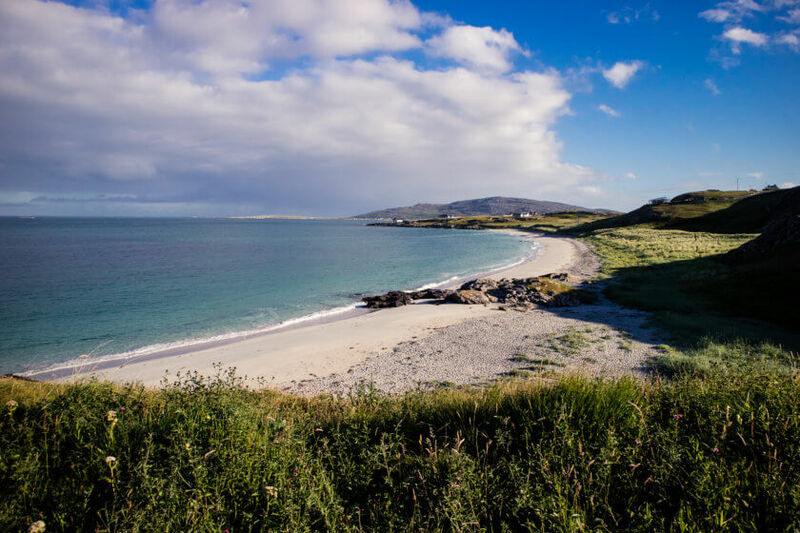 You could fly to the Outer Hebrides – the experience of landing at Scotland’s only airport that uses a beach as a runway on Barra is an experience in itself. 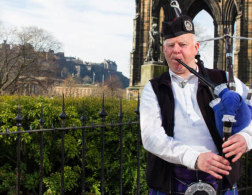 However, flights are much more reliant on weather conditions and since it’s Scotland, flights are likely to be canceled – even during the summer months. Taking the ferry is a safer bet. CalMac operates several connections between ports on mainland Scotland at the Outer Hebrides. The best connection to the start point of the Hebridean Way is from Oban to Castlebay and takes 5 hours. From Castlebay you can take a bus (or a taxi, since no buses operate on Sundays) to Vatersay where the trail officially begins near the Community Hall. The trail ends in Stornoway, the largest town on the Outer Hebrides. From there you can catch the CalMac ferry to Ullapool and a bus onwards to Inverness. From there it is easy to travel back to Glasgow or Edinburgh by train or bus or catch a flight to somewhere else in the UK or Europe. The Hebridean Way was officially openend for walkers in 2017, but has existed as a cycling path long before that. 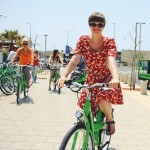 Most travelers you meet along the Way are indeed cyclists, but the amount of hikers is increasing. The trail uses existing paths were possible and new paths have been built, but still, there are a lot of road walking sections, which can sometimes be avoided by taking a bus or hitchhiking. I would recommend doing that, to spare your feet the torture of walking on tarmac roads for miles on end, and use your energy for walks off the main route instead. There is a useful guidebook about walking the Hebridean Way, but parts of it are outdated already. It’s good to read up on the Vitis Outer Hebrides website about recent changes to the exact route and most importantly follow the waymarkers along the trail. Unfortunately, there is no map for the Hebridean Way and the route is not indicated on the general OS Explorer maps, but these are still a useful resource to prepare for each daily section. The area of the Hebridean Way is covered across 7 different OS Explorer maps, which is a lot to carry, but worth the effort. 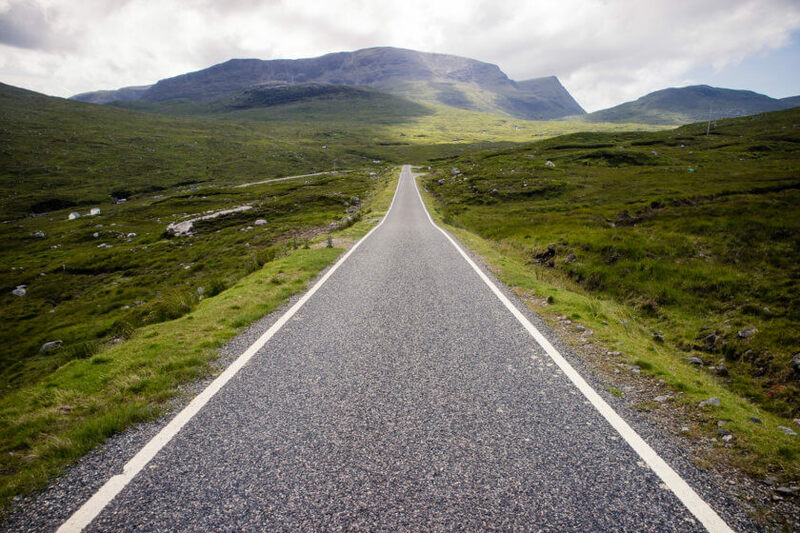 There is plenty of infrastructure along the Hebridean Way – accommodation, restaurants, shops – but it is important that you properly prepare your daily route and mark down when you come past a shop to restock your food and water supplies or a cash machine to take out some money. Cash is king in the Outer Hebrides, especially in smaller community-run shops and cafes, on campsites and on buses. 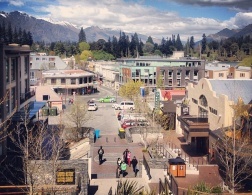 Accommodation is easy to come by at most section ends, but sometimes you might have to catch a bus to the nearest town or organize a pickup. The easiest and most independent form of traveling is to camp. 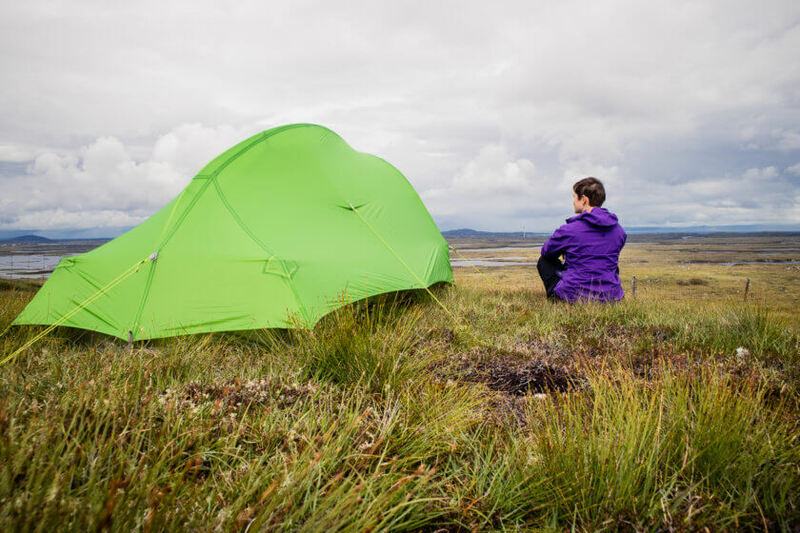 Wild camping is legal in Scotland as long as you obey to the Scottish Outdoor Access Code and there are numerous campsites along the Way which offer infrastructure, such as showers, washing machines and sometimes even WiFi. The Hebridean Way is fairly easy to walk. There are waymarkers all the way from Vatersay to Stornoway (although they become sparser on Harris and Lewis) and most sections run along obvious paths. Sometimes though, you are left on your own and have to make your way from waymarker post to post without a trail – particularly up in the hills and across the moor, where building paths is difficult and expensive. The islands are reasonably flat and the highest point of the walk is just over 900 feet. 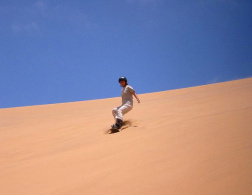 However, the difficulty of the trail lies in the terrain which includes boggy moorland, narrow raised turf paths and overgrown coastal paths through the sand dunes. You should be physically fit for this walk and prepared to carry a full backpack for about 13-15 miles a day. For more advice check out my top 10 tips for the Hebridean Way. Walking the Hebridean Way is a brilliant way to see 12 Scottish islands in just two weeks time and doing it slowly on top of that!